For an everlasting wedding experience, the Las Vegas Strip wedding is a perfect choice. You may love serene nature or bustling city crowd but the Strip area is just the right combination of both. Couples loving elegance, vibrancy, and passion will never get enough of Las Vegas Strip wedding ceremony. And what could be better for Strip wedding than the best wedding planner there is- Custom Las Vegas Weddings. It is one of the professional wedding planners that values your time and respects your wedding day. 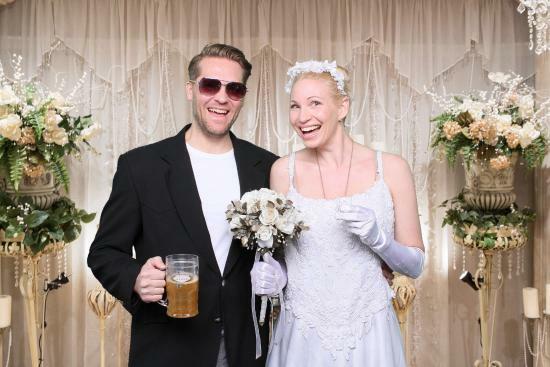 Therefore you can only expect fantastic wedding packages that include elopement packages, neon decor wedding ceremony, ghost town ceremony, Red rock canyon ceremony, and lots more. To know more about how to make your dream wedding come true it is advised to visit (https://customlasvegasweddings.com. From outdoor wedding celebration to resort or another luxury venue for your theme wedding celebration, Custom Las Vegas Weddings, which is a full-service wedding planner is going to make your dream come true with their excellent wedding planning. Here are some of the important features of custom Las Vegas wedding that will help you to decide better on your wedding planning. Everything is customizable. In order to give couples the suitable services as per their requirements, the wedding packages can be customized. These packages include basic services such as venue, photography, decoration and lots more. Other than the basic aspects there are many add-ons where a couple can choose the type of decor items, flowers, welcome show, wedding makeup and many more. You name it and Custom Las Vegas Weddings will do it for you. The marriage license is of utmost importance which the couple needs to get before the celebration. This will legally bind your marriage and you will have a social identity. To get your license the couples must visit the courtroom and bring with them identification proof. In most cases, you will see the marriage certificate to arrive within 5-7 days. A couple requires a witness to make their marriage legal and so arranging a witness is very necessary. If you consult with wedding planners of Custom Las Vegas Weddings, then your wedding planner will be able to get one witness for your ceremony. Be it your resort room or an outdoor venue, a witness will be easily arranged by your professional wedding planner. Also in case, the wedding planner is unable to find a witness from the local surrounding, you may pay $35 to hire a witness who will be providing you complimentary photographs as a proof of your witness. Everything is done as per your preference and wish. With easy consultation, you can get in touch with Custom Las Vegas Weddings for your fairytale wedding in Las Vegas. No matter where you live a customized theme wedding is excellent if you have the dynamic team ready to help you and execute your marriage ceremony systematically. A wedding is a celebration of love, friendship, family and relationship. It is a moment of two hearts tying the knot. So when it is about such a significant day of your life, make it the most stunning celebration ever.